After a few years in Barcelona, a Polish-born Emcee RQM moved his operation base to Berlin again and together with his local 'maffia' of music producers and graphic artists has just released a super dopey package of music meets visual art meets street art on his own label called Baby Sumo. These are full-blown songs and not your typical tracks with pumping, repetitious beat or wobbley bassline and a few silly, vocal lines added before the breakdown. I wish I saw more songs of such quality being dropped on the blogosphere. HOW OUR ATOMS FUSE FOR NO REASON..."
Son of Kick's version of Atomic Fusion sounds as if listening to the original after dropping a serious dose of MDMA or LSD, with unexpected bleeps, beeps, and weird melodies popping out in the background and twisted, seriously echoed and delayed, trippy beat based on very repetitious pads and distorted bass getting out-of-synch occasionally just to turn into a drillling monster a moment later. This tune really grows on you! 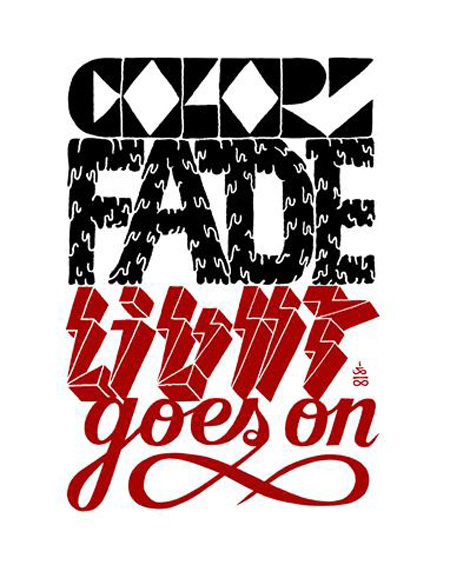 Color Fade produced by the Glue Kidz from Spain is 'another story about boy meets girl, from a ketamine perspective'. This time a mellow voice of RQM and neon synths of Glue Kidz would best fit a nighty bedroom trips with your headphones on or a lovely person next to you, optionally with a nice little joint slowly burning in an ashtray ... The real highlight of the entire release comes with the Color Fade remix by Chris de Luca who crunked up the synths, added heavier bass and distorted loops, cut up and mutated vocals, thus creating a slowly burning killer! The good news is you can download this remix from Chris de Luca soundcloud. Finally JF offers the heaviest remix with a very nice intro and dubstep bassline hitting the listener in synch with the mesmerizing rapping by RQM. Another sick joint on this top-quality release. The music is not all, actuually this is just the beginning! 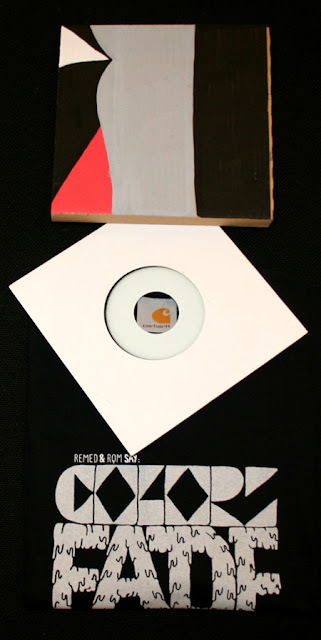 RQM prepared a really special limited edition of this EP, combining the COLORS FADE 7″ record and a CARHARTT limited edition tshirt designed by a French street-art artist REMED with a cover hand painted by him. Actually Remed painted one big sheet which was then cut into 100 pieces, thus each cover will definitely be unique, though it might include a lot of graphic or nearly none at all :) What is more, the extended EP in digital format includes more fantastic artwork, this time by 44 flavors crew. 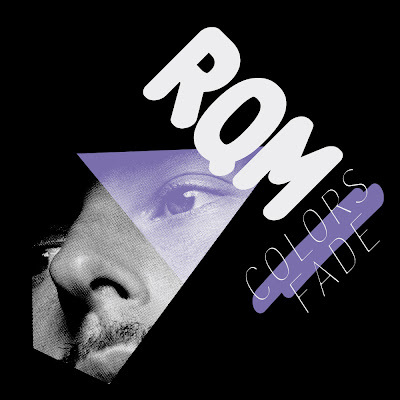 Listen to an interview with RQM talking about his latest release Colors Fade.